Kitchen in the historic research centre at Port Lockroy in Antarctica. I love the notion that, when visiting a wilderness, we should leave nothing behind other than our footprints. However, there are exceptions to the rule, as is evidenced in this image from the historic research station at Port Lockroy in Antarctica. Personally I'm in favor of supporting the survival of such places as they speak to us of the Human Condition. This notion is also evident in the photos in this post. There's the machinery in front of the remains of a settlement on Deception Island and the ruined stone building by the fjord in the Faroe Islands. The Human Condition is one of the concepts that heavily underpins my work. It motivates me to make photos and it's part of the story of many of the photos I make. A heavy snowstorm sweeps over Whalers Bay and Port Foster on Deception Island in Antarctica. What Motivates You To Make Photos? It seems to me that so many photographers get lost in the notion of searching for a style and end up loosing themselves in presets, whether in camera or on the desktop. But style is not just about the way an image looks (e.g., grain, de-saturated) or the way it's presented (e.g., torn edges, square or panoramic). Style is your unique and personal signature. Your photos need to speak to the world about who and what you're photographing, but they also need to speak about the maker of those images: you. You can tell a lot about the artist, as a human being, by looking at the photographs they produce during their career. Ansel Adams, Steve McCurry and my friend Trey Ratcliff come to mind. Now don't get me wrong, presets are a great way to help introduce folks to post processing their images on the desktop. Presets can also help the photographer to establish a workflow and can encourage them to experiment. Experimentation involves taking risks, the result of which can help move photos from mere two dimensional documentation of what you saw towards images that explore how you felt about what you saw. That process is central to an artistic practice. But remember, just like your camera, presets are simply tools to help you create images. There's no problem with working intuitively, particularly in the early days, and letting a preset guide you towards a particular look. However, eventually you'll need to modify and save your favourite and most commonly used presets so that they better match your own vision of the world. That will make those modified presets your own and no longer someone else's. You now have more control over the final look of your images and have successfully used your preset to stamp your own unique vision (i.e., style) onto the photos you make. The ruins of a dwelling by the shores of the sea on the island of Eysturoy in the Faroe Islands. Photography is a search for identity: your own. Making lots of photos is important. But being able to look at those photos from both a subjective and objective point of view is essential in the process of becoming better at your craft. It's easy to teach folks the language of photography and for them to mimic what they've learned in the way they provide feedback to the images made by their peers. I have a formal education in photography, so that's very much part of the route I followed. Let's call that photography 102 or, if you prefer, talking the talk. But, as a long time teacher of photography, I know that being able to talk the talk simply isn't enough. I'm heavily involved in The Arcanum an online photography education site. 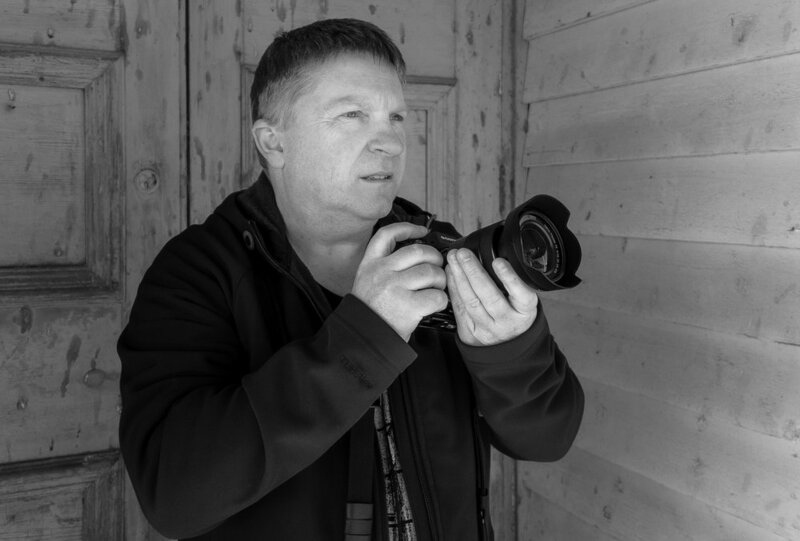 The Arcanum provides a wonderful, community based learning experience and I love working with folks from around the world and helping them to advance their photography by guiding them along their very own, individual creative path. After all the artists journey is not, primarily, about an accumulation of knowledge, it's about a journey of self discovery. As always, why is the most important question. Everything that matters follows after that. Do you ask it often enough of yourself? I believe it's at the very heart of the artists journey. Do you live in or around Melbourne, Australia? Would like to learn how to use your camera to make better photos? A private one-to-one class is a great way to shortcut the learning process. And it’s all about your camera and what you need to know to move you along your own creative path. Click on the image directly above for more information and feel free to contact me with any questions.